Massachusetts State Police released video taken of Boston bombing suspect Dzhokhar Tsarnaev’s hiding spot after he was discovered in a boat parked in a Watertown, Mass. backyard. The boat’s owner was the first to find Tsnarnaev in the boat after going outside to smoke when the citywide lock-down was lifted. The owner said he saw something out of place and upon a closer look the cover had been cut. Lifting the cover to look inside, he discovered the suspect, calling police to report his discovery shortly thereafter. The first part of the video is taken with a thermal camera mounted to a helicopter, which is designed to pick up the infrared part of the electromagnetic spectrum. The video switches to a full color CCTV camera, then back to thermal infrared for visual comparison. The best thermal images from the above video come between t-minus 20 through 12. This technology is often used by police to locate suspects and by the military to isolate targets, as human body heat is particularly recognizable when juxtaposed with objects that aren’t giving off nearly the same amount of heat. It picked up the heat signature of the individual, and was able to see-through the boat cover he was underneath on the boat itself. The helicopter was able to direct the tactical teams over to that area. Update: Tsarnaev was convicted in federal court in Boston, April 2015, and is now on death row. In what has become a growing controversy, the U.S. Department of Homeland Security continues to push the boundaries on what constitutes invasion of privacy vs. catching criminal acts via aerial drones. 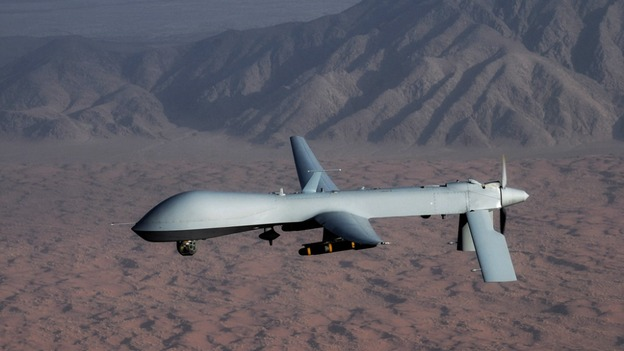 As the debate heats up and more information comes to light as to whether these drones used for civilian purposes will be armed with some kind of ammunition such as the hellfire missile, citizens and advocacy groups are becoming concerned whether military drones will be used lethally in a non-combative situation on U.S. citizens. In March, NBC News uncovered a confidential 16-page Justice Department memo that concluded the U.S. government may execute a drone strike on American citizens if the government believes the suspect to be either a “senior operational leader” of al-Qaeda or “an associated force.” The Electronic Privacy Information Center (EPIC) obtained and revealed a partially redacted copy of Homeland Security’s drone requirements through a Freedom of Information Act request. CNET found a copy that included all the text. The technology of the drones used for civilian use, referred in the documents above, is of interest. These docs state the Department of Homeland Security has an unmanned drone fleet with technology that can ‘root out civilians who are carrying guns’. Homeland Security design requirements specify that its Predator B drones “shall be capable of identifying a standing human being at night as likely armed or not,” and must be equipped with “interception” systems capable of reading cell phone signals. What does this have to do with thermal infrared imaging? The answer is simply put: when a drone has the capability to find something at “night” it is usually involves thermal infrared imaging. Occasionally near-infrared (NIR) is used, and on helicopters at lower altitudes with less expensive equipment night-vision technology is used, which is the greenish looking video used in night-vision goggles and scopes. But large drones like the Predator B are at high altitudes to go undetected therefore use thermal imaging. To explore this idea further, it wouldn’t be an X-ray camera on board the Predator B because of the lack of current technology due to the energy needed and the radiation danger to the public. It wouldn’t be a normal visual camera as it can’t see at ‘night’ even with LED on a zoom lens. It wouldn’t be a the greenish night-vision camera (a notch below near-infrared ‘NIR’ or two notches below thermal imaging) because it couldn’t clearly see if someone is holding a weapon even with a zoom at high altitude. It also couldn’t tell if someone has a bomb or many other weapons. The only technology as is the opinion of this author is thermal imaging. Thermal imaging is the only camera that can ‘see’ through the atmosphere in multitude of conditions and ascertain a weapon is being held due to the differential in temperature of cold steel and the surrounding air. A thermal camera can spot a weapon if someone was holding it in their hand or even possibly under their clothing or other concealment. Of course a ‘zoom lens‘, as the gov puts it in their response to public inquiry, is critical in this procedure and the only thing gov officials will confirm can achieve this feat. Add the assist of an on-board computer to identify weapon-of-type and you got a militarized civilian-use piece of hardware – Predator B. In recent times, art restorers have employed lasers and other sophisticated imaging techniques by other infrared techniques or Ultraviolet and X-ray to reveal details not present to the naked eye. Over time wall murals are re-touched, many times painting over original details unrecoverable by past imaging tools. Now a team of Italian researchers from the University of L’Aquila, the University of Verona, and Italy’s National Institute of Optics in Florence, have developed the latest imaging tool that can bring back these features for future restoration, and may even give more details about pigments used long ago. 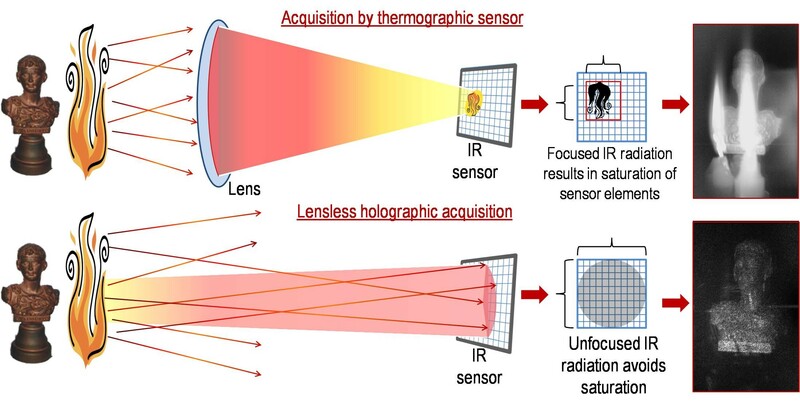 This technique known as Thermal Quasi-Reflectography (TQR), takes advantage of reflected infrared light from the mid-infrared part of the spectrum (3-5 micrometers in wavelength). Why specifically the mid-infrared portion of the spectrum? Because certain materials shine more brightly in one wavelength than in others. At normal room temperature, paintings typically emit more invisible light in the longer infrared wavelengths than they do in the mid-infrared. These researchers came up with the idea of flooding the works of art with these normally scant (1.1%) mid-infrared wavelengths (using halogen lights a great sources of mid-IR) to see what detail reflects back with an infrared camera. Unlike traditional thermal imaging techniques reading the heat differences reflected represented by individual pigments, or the less detailed reflection of light in the Near Infrared (NIR), the TQR system reveals new details of great works of art. 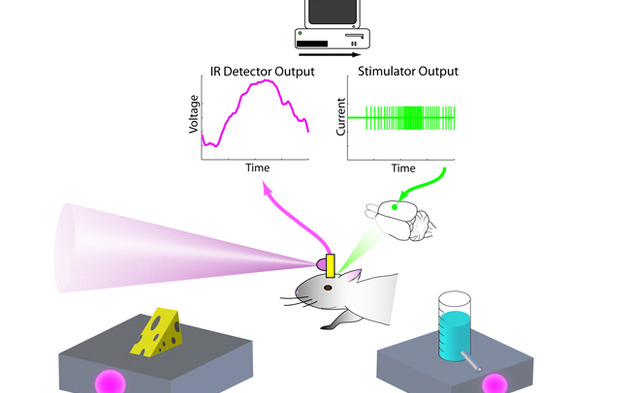 Researchers at Duke University in North Carolina, implanted infrared detectors into rat brains so that they could sense infrared light around them creating a ‘sixth’ sense. The infrared camera was place on top of their heads and wires went from the camera to electrodes implanted within the part of the brain responsible for touch. Through experiments, scientists were able to prove the rodents could feel the infrared light around them. This breakthrough will lead to further research on how to connect an external “brain” ie: a camera detector or computer processor to an organic living brain or ‘brain-to-brain interface.’ Imagine this furthering research for humans to have cybernetic ‘wet wiring’ to external memory with many packets of new skills or information. Or an external camera wired into the brain to assist the blind. This groundbreaking research proves you can use another part of the brain and re-purpose it for another task, in this case putting sight reception into the part of the brain responsible for touch. For the first time scientists have re-purposed the brain in new ways successfully. “This suggests that, in the future, you could use prosthetic devices to restore sensory modalities that have been lost, such as vision, using a different part of the brain.” It may also lead to neural implants that could let the paralyzed walk again. Or use X-ray cameras to give subjects ‘X-ray vision’, according to Duke University. 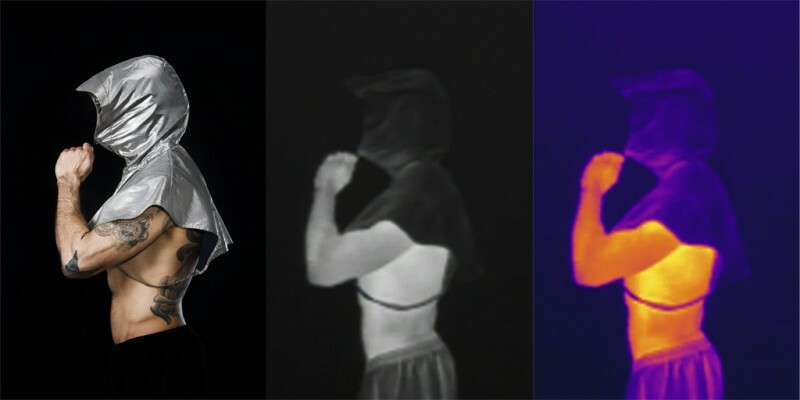 A comparison of a traditional imaging system: the view of a man is obstructed by flames, and a new technique using digital infrared holography, where the viewer can see a man standing and waving his hand behind the flame. A great challenge for firefighters is seeing through smoke to find those trapped in structures engulfed in fire. If a firefighter has the latest high-tech equipment he can see though the smoke to find victims, but what if the victim is surrounded by flames? Often that scenario overwhelms an infrared camera so that it can’t see anything but the fire itself, not what’s beyond. A team of Italian researchers has developed a new imaging technique that uses infrared (IR) digital holography to solve this problem of seeing through flames. Studies showed that the camera lens was part of the problem. As most zoom lenses are, they are designed to hyper-focus the infrared light or energy onto a specific area on the sensor located inside the camera. But researchers found if they removed the lens with the aid of scattered infrared laser beams that can pass through intense heat and flames they were able to create an ‘ghostly’ holographic image of a person behind a wall of flames. With traditional non-thermal infrared recorded holographic images the subject must remain still for each frame. With this technique using infrared, scientists prove that recording holographic images while movement is present can be done for the first time. This technology can have wide range of applications other than firefighting. Potential uses could range from biomedical field to non-destructive testing of large aerospace composite structures.